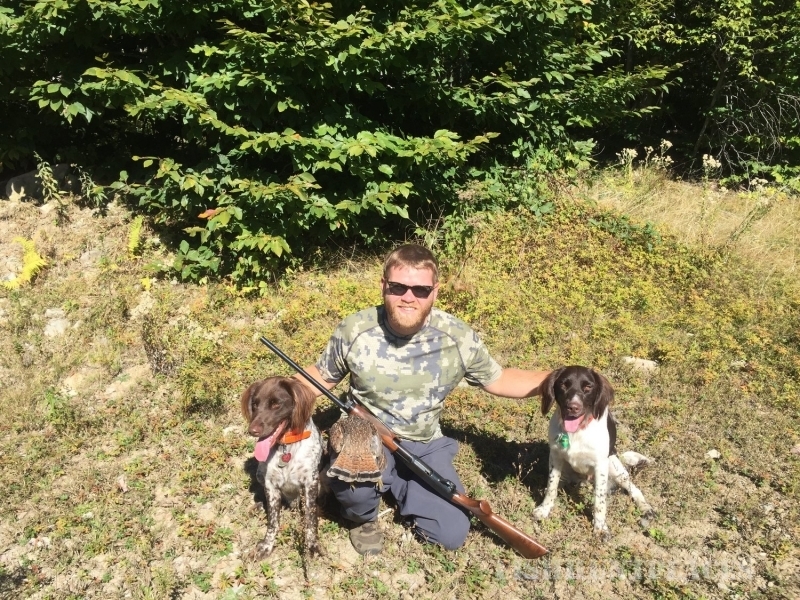 I'm Garrett Burback, founder of Lesser Wilderness guide services. 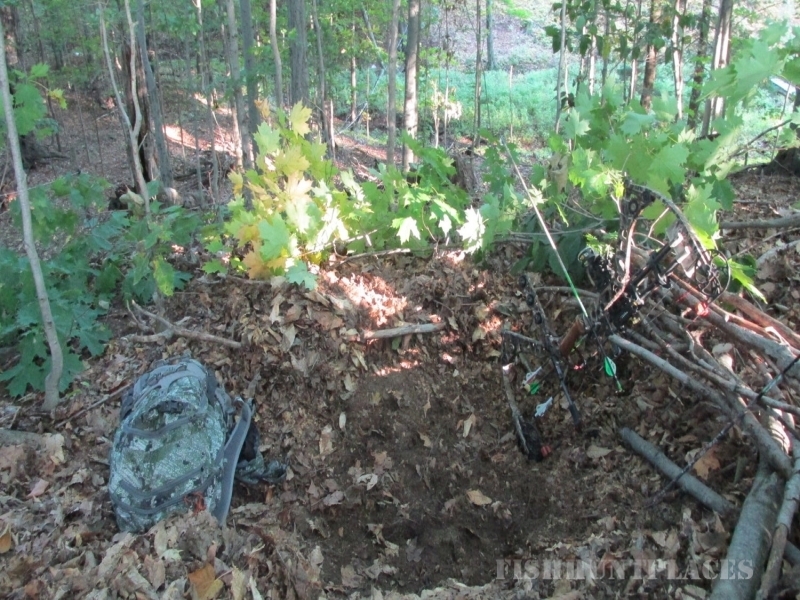 I am a licensed guide through the NYS Forest Rangers with 23 years of hunting and angling experience. I'm a Marine veteran and currently a Lieutenant firefighter with Department of Defense. 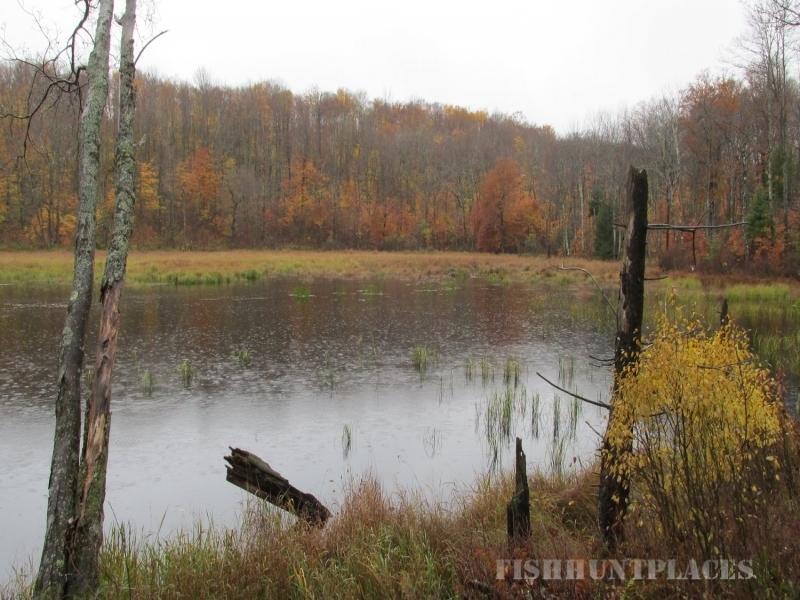 Lesser Wilderness is based in Pulaski, NY and leads clients throughout the Tug Hill region for a variety of fish and game. We believe in fair chase, ethical fishing practices and a nose to tail approach to the animals we take. Most trips are typically done in remote locations of public lands that are only accessible by foot. Clients should be prepared to spend the entire day in the field and physically able to hike 2 to 5 miles per day. However, accommodations can be made for those with limitations. Lesser Wilderness focuses on teaching clients the skills needed to be self-sufficient in realistic settings. Operating within the Tug Hill region offers the perfect landscape to accomplish this. The area features over a hundred thousand acres of public property, the Salmon River and a countless number of hidden creeks, brooks and ponds. It is our goal to enhance your experiences afield and introduce you to some of the wonderful sporting available in the great state of New York. Lesser Wilderness guides anglers for steelhead, brown trout, brook trout, rainbow trout and salmon. We work with people of all skill levels, including those new to the sport. Guided trips are offered year-round for season appropriate species. 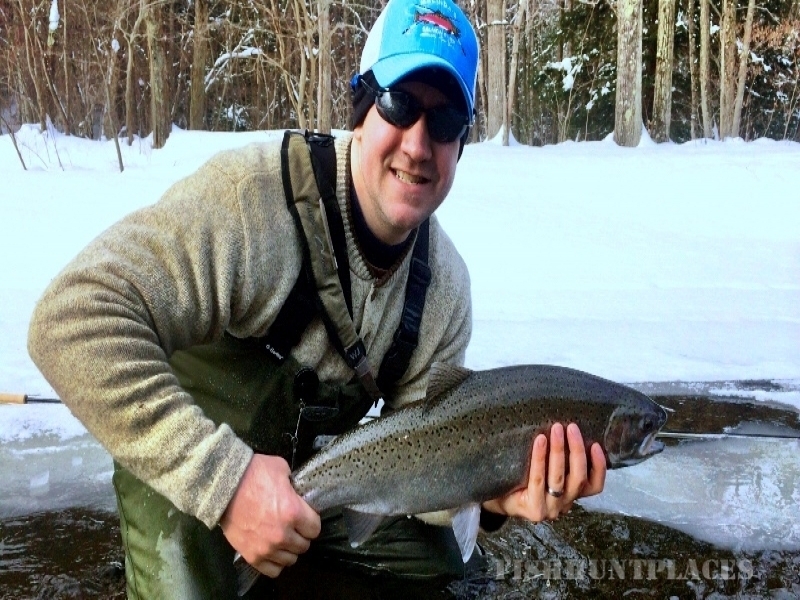 These Lake Ontario rainbow trout enter the Salmon River in the fall and stay until spring. These fish range from 5 to 20 pounds and are tenacious fighters. 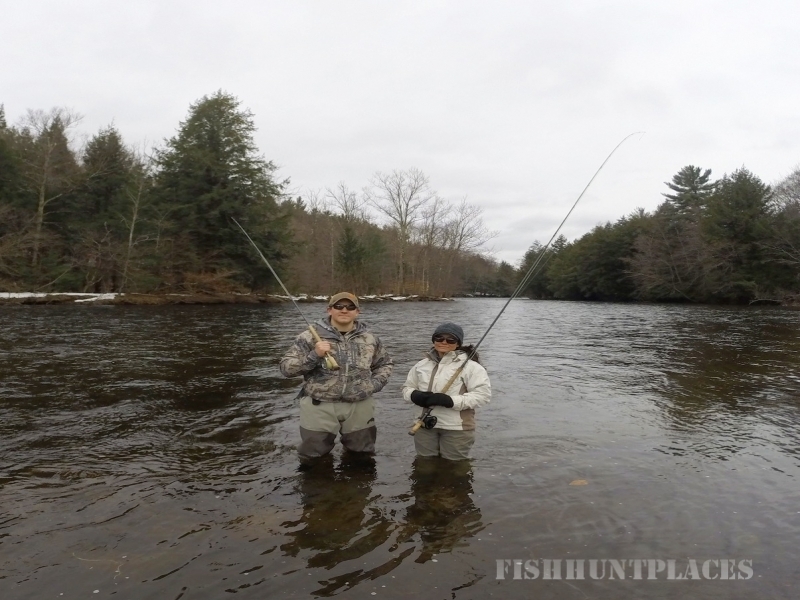 Fishing for them is done using a two-handed fly rod known as a spey rod. They can be a challenging fish to hook and land but are well worth the effort. The area's annual salmon run can start as early as August and can last into December. 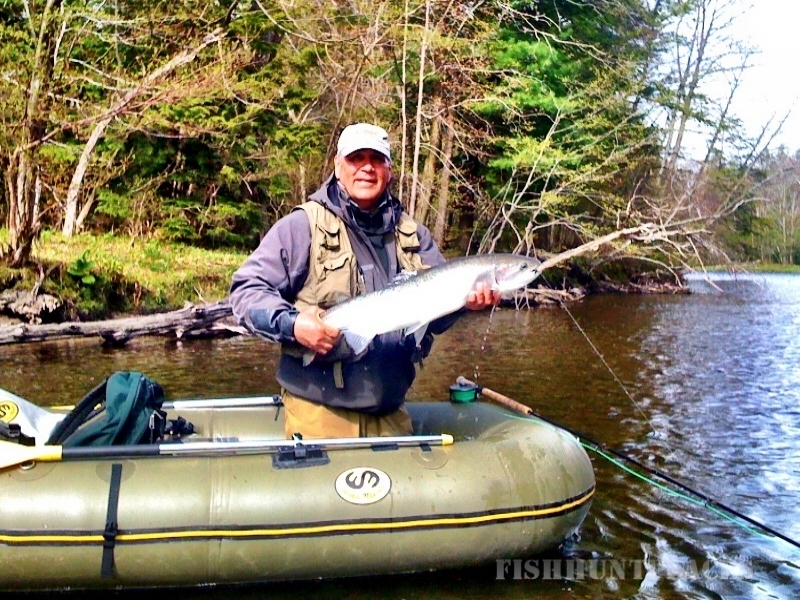 The Salmon River hosts coho, Chinook and Atlantic salmon during this period. We often target these fish during the early stages of the season to avoid larger crowds fishing the peak of the run. Doing this offers anglers a more enjoyable time on the river and better chances at landing fresh fish. For individuals seeking solitude, the interior portion of Tug Hill is your destination. Lesser Wilderness will guide you to remote reservoirs, headwaters and secluded beaver ponds loaded with trout. Come fish the backcountry's native populations of brook trout while you dine on wild blueberries along the way. Tug Hill is famous for its massive and early accumulations of lake-effect snow. Hunting in the snow while the rest of New York is bare ground is normal on the Tug Hill cuesta. Hunting for deer takes place on a public land/public easement parcel that covers an unbroken 40,000 acres. Our season spans from September to December and offers opportunities for archery, muzzleloader and rifle hunts. Though the season is long, hunting pressure is relatively light. In recent years, black bear from the Adirondack Park have crossed the Black River valley and reclaimed Tug Hill. Black bear were nonexistent on the Tug Hill during the late 90s and hunting was prohibited. However, since then, bear numbers have risen and in 2014 NYS DEC reopened their hunting season. Lesser Wilderness is optimistic concerning the future of Tug Hill's black bears. We support the ethical taking of bear in a manner that facilitates continued population growth. Snowshoe hare/northern hare can be found in a select number of state forests within the Tug Hill region. We hunt hare from the close of big-game season until the close of hare season, which usually falls around the spring equinox. Evolution has given the snowshoe hare the tools needed to thrive on the Tug Hill. During the fall months, as daylight hours dwindle, the hare exchanges its gray coat for a snowy white one; this gives them the perfect camouflage for an area known for its snow. Their large, fur padded feet allow these critters to seemingly float on snow while all others sink. Harsh conditions combined with continuous pressure from bobcats, coyote, fox, fishers and owls have made these hare one of the toughest animals in the forest. Hunting them is an often overlooked pursuit in New York State. Chasing hare on a set of snowshoes is a blast and one animal provides a delicious meal ample for two.